When you submit your email address to us we will scan various dark web databases to see if your email matches any of them. Congrats! The email address you submitted is not currently listed in any of our tracked hack databases. To check another email address, enter below. Protect your Identity, Privacy and Passwords now by upgrading to one of our affordable solutions. We're currently experiencing technical difficulties. Please come back later or try again with another email address. What happens after I run the email scan? 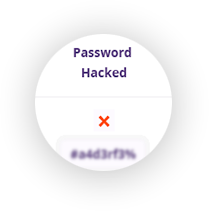 The goal of this website is not to scare you but to make you aware of the risk related to your email being hacked and give you the opportunity to take appropriate steps to protect your identity and data. After you submit your email address to us, we will match it against known hacked databases and will tell you if your email was hacked. If your email was hacked — we will offer you various products and services to protect your identity and data from future hacks. For FAQs, click here. Here we list all data leaks in our database. Each of them has been made publicly available by the attackers themselves or by those affected through different websites. Important: MyHackedEmail monitors data dumps found in the Deep & Dark Web with intent to verify them. By no means, we state that this is a true breach nor attempt to attribute it. The scan of your email is free of charge. If your email matches hacked databases you will be offered various products and services to help you get protection against future hacks. RealDefense does not guarantee that your email will not be hacked in the future or accuracy any of the data provided in this free scan as we do not own any of the hacked databases.